While resolutions are swirling this time of year, doing more in Dallas is one that I am forever a proponent of. You're doing more, experiencing more and bolstering that local economy. 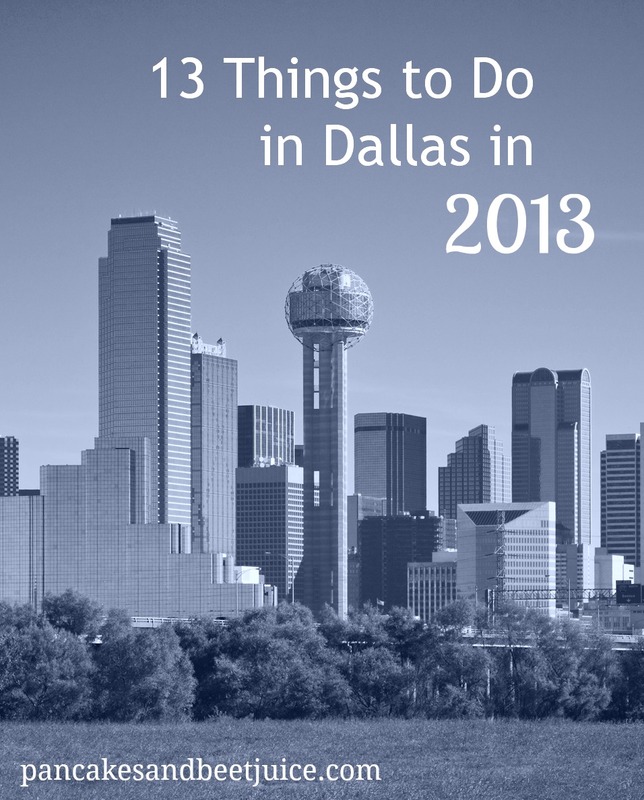 Some of these I've tried before and am excited to return to in 2013, and some of these have been on my Dallas list for a while and I am determined to check it out this year! All of them are a great time and are brought to us by local history or businesses. I took my first visit to the Perot Museum of Nature and Science the weekend before Christmas. It was super packed (even sold out about 20 minutes after we bought our tickets) and really fun. I loved the former Science Place growing up and after a long hiatus everyone in Dallas is talking about going to the science museum again! And for good reason, I love the quirkiness of the exhibits. We peered over an interactive map of space to hear Owen Wilson narrating about the cosmos to us, we compared our football throws against Roger Staubach's in the sports room (our group's favorite exhibit) and thought Mr. Perot was a pretty good sport for submitting his photos to the feature on aging. This new jewel of downtown is fun for all ages (they are even doing adults only night hours right now - check the programs page) and loaded with personality, just like its host city. I have enjoyed the opening concert (love me some Polyphonic Spree) and a few strolls since the park opening, but I am ready to really tear it up here soon. There are boot camps of all kinds (including Stroller Boot Camp - cute), zumba, tai chi and yoga throughout the week. If you're more into unstructured fitness, take a few laps around the trail and then rent some ping pong paddles or a golf putter from the stand by the activity area. Check the fitness calendar for schedules and cancellations. After your workout you can grab lunch from one of the many food trucks. If you're like me and like to follow exercise with ice cream, I recommend building your own ice cream sandwich from Cool Haus. The beginning of the year is when I like to get nesty. It's my time to decorate, redecorate, fluff and renovate before summer so I can spend those precious weekend days at my favorite home away from home - the pool at my grandma's country club. I love to shop recycled goods for their environmental and quirk factor, and spend many a Saturday morning in the Design District at the antique shops, especially Lula B's, White Elephant, Scout and Again & Again. Now that the cold has set in I will be adding a stop by the newly opened Ascension coffee shop to my itinerary. The little voice on my shoulder tends to speak up in favor of my purchases after a cup of espresso. Sometimes, even though it's cold, you gotta get out and stretch your legs. I mean, people in the north do it all the time, or so I've heard. Put on your coat and take a brisk and jolly nature walk at the Trinity River Audubon Center. Bring your thermos and some binoculars for bird watching. I was in a wedding here last spring and will attest that the building is gorgeous and the trails look welcoming. I think it is very Kate Middleton-esque to walk about in nature (pre-pregnancy, now we mustn't disturb the royal womb) and you will find me here in 2013, wearing my Hunter boots and looking for Mockingbirds and Cardinals (the state birds of my beloved Texas and Kentucky, respectfully). The other day I went on a vintage shopping tour of Dallas with some friends and we stopped at Oddfellows in the Bishop Arts District for coffee. My lovely Dallas raised, Chicago living high school friend took a look around whilst sipping her organic coffee and mused, "It's like Austin...or Nashville...or..not...Dallas." She is right. There is something about the Bishop Arts District that is, like, not Dallas. 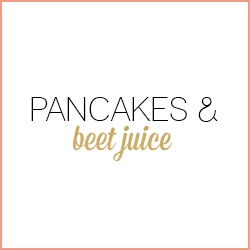 I am already planning a birthday brunch for myself at Hattie's this summer. Oddfellows has the best coffee, I dream of Tillman's Southwest Ceasar salad and Driftwood is now at the top of my dream date night list. What I'm trying to say is, there's something for everyone here, or people like me who eat everything. You'll feel hip no matter where you go. With awards season coming up, it is time to get up to speed on movies so I don't look like a chump around my friends as we talk trash about celebrity's dresses ponder another year of cinematic greatness. There are the mega movie complexes, yes, but there are also some quality theatres in Dallas that have a special history to them, like the Highland Park Village Landmark theatre, the Inwood Theatre and, my new discovery and personal favorite, the Texas Theatre. If going out isn't your game you can always take a break from the box kiosks and visit the best movie rental store in Dallas - Premiere Video! For someone who enjoys exercise, holy cow do I not do running. I do not own one pair of running shoes. I want the 0.0 sticker for my car. BUT, but...The 5Ks in Dallas these days look like such a fun time and everyone is doing them and posting their pictures and having a blast. So, I'm making my feet hit the pavement at least one time this year, even if it's a brisk walk, so I can enjoy the choclate/paint/rave/beads at the end. I love a warm yoga session in the winter. It's like getting a cozy hug. Going to King Spa is kind of like going to hot yoga, except you don't have to do anything besides sit around and sweat. Sometimes you do this in your clothes here and sometimes you don't, but nobody's looking and it's really fun. I have a Groupon to here burning a hole in my pocket and am looking forward to a visit soon. I've done the foot reflexology treatment before and found it life changing (How a foot rub can cure lower back pain I am not sure, but I awoke a new person). Next time I'm going for the scrub in the wet (see: naked) baths. I think the Myerson building is gorgeous and have been to a few concerts there, namely visits to see Steve Martin play banjo. I haven't actually seen our Dallas Symphony Orchestra perform since I was younger, and I've had friends attend their movie score events and describe them as "totally kickass" (my friends are not your average symphony people). The next movie themed night is in February and includes scores from movies like Harry Potter, Star Wards, E.T. and (personal favorite) Hook. Buy your tickets now! This event is on the cusp of spring, and is the signal to me that the sun is finally here and it is time to bust out the bike for my neighborhood rides once again. There are all types of riders here, from cyclists in tight shorts to families with tricycles in the group. Pick your milage and take a cruise through Dallas down streets that are blocked off for a safe and fun ride. I am looking forward to scoping out all the houses on Swiss Avenue, grabbing brunch with friends after our ride and parading down Dallas on my Electra cruiser covered in pink and red hearts! Our family seriously has the best time here. Sometimes we bring a kid friend with us and sometimes we don't. We do, however, always get overly agressive on the trampoline dodgeball court. It's a fun friend night or date activity and awesome if you have kids, nieces or nephews! Our visits are here are also usually courtesy of Groupon, though not entirely expensive if you want to go somewhere without using a coupon (shudders at the thought). Pocket Sandwich is a little theater at Mockingbird and 75 (across from the DART rail station). If you blink twice you'll miss the marquee, but it is a local treasure. The popcorn thrower shows are comedies, typically farces on a different subject, where audience members are encouraged to throw popcorn at the actors during the show. This year's show is running now through Feburary 16 and is superhero themed. Markus and I went here on a date on my second night of living in Dallas after college. Almost five years later, I think we're due for a trip back this year! JK, y'all...becuase after January 21, the Dallas Museum of Art IS free! General admission will have no charge for museum guests, so go out and see some art this year, people! I already have my calendar marked for the Cindy Sherman exhibit, opening in March. These are just some of the mighty fun things my favorite city has in store for us in 2013! What are you going to get out and do this year? 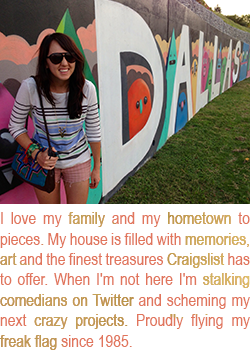 Lilly, you always come up with the best lists of things to do in the Big D! Thanks for the inspiration! The Perot Museum is definitely on my to-do list! Also, laughing at your "I want the 0.0 sticker for my car" comment. I love running, but I have a bum knee, so I can't get more than 2.5-3 miles out of it. Boo. PS: I really hate running too. Like, almost as much as I hate to throw up, so that's saying something! Hey Lilly! I'm just stopping by from the BlissDom FB Page! I think this is an awesome idea. I have lived in Seattle my entire life and there are still so many things I haven't done, or want to do again! And, maybe I will have time to do one or two of these things when I'm in Dallas for BlissDom! (I'm staying an extra day!) Looking forward to meeting you! Great list Miss Lilly!!! You should be a member of the Chamber of Commerce !!! Hope you're having a great weekend. Great list! My daughter is going to a birthday part at Jump Street next week. Now I excited about going! I Love your blog!I am so sad I didn't find it while I still live in Dallas- you have listed such great activities in Dallas! I live in North Carolina now- for the last 2 1/2 years but I still miss Dallas! But I just wanted to tell you I really enjoyed your blog! We're moving back to Dallas in a few weeks and we are oh so excited to try all of these things! Great post!